Imagescape Design Studios has been fortunate to attract a talented team of professionals skilled in their fields. Stephen graduated from the University of New South Wales in 1982 with a Bachelor of Architecture and Architecture Science degrees. His career commenced with the Electricity Commission of NSW in 1978 working on very large-scale infrastructure projects through regional NSW. 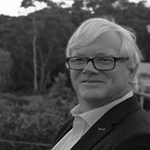 Feeling the need to move to the private sector Stephen joined the Illawarra Retirement Trust in 1982 as Planning and Development Manager. In this role he assumed responsibility for the design of a nursing home at Milton on the NSW South Coast, retirement village incorporating nursing home, low care hostel and independent living units at Dalmeny and major upgrades to nursing homes at Towradgi and Woonona, together with feasibility investigations into a range of projects including central kitchen, laundry and a specialist geriatric hospital. In his role as Planning and Development Manager Stephen was responsible for briefing consulting architectural practices and monitoring performance. This presented a unique opportunity to understand the development of good architecture from the client perspective. 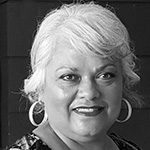 Christine graduated from The University of Sydney in 1987 with Bachelor of Architecture and Architecture Science degrees. As creative director Christine believes in exploring the potential in every project. Working closely with her design team, client, specialist consultants and stakeholders to ensure the essence of the design potential is realised in the details. This is the satisfaction in being creative director. Christine is also proud to be a part of the bass section in Wollongong’s Out of the Blue Chorus. She currently holds the treasurers position in the chorus management team. With extensive experience in variety of projects from overseas and local, from Education and Health, Age Care Facilities, Education and Public/ Community Facilities John is a valuable addition to the Imagescape Design Studios team. Vanessa brings to Imagescape Design Studios a keen understanding of the place of the building in the landscape and the importance of physical connections in support of the social fabric of the city. 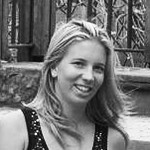 Madeleine is currently in third year at the University of NSW studying interior architecture. She brings an enthusiasm for design and great communication skills. Hector Montero is a professional business analyst with experience in marketing, commercial aspects, customer service and business administration. 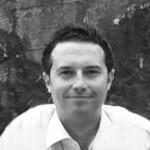 He has worked for a range of businesses from international franchises to local companies in Spain and in Sydney. Hector helps us to develop and improve our business plan. He brings to Imagescape Design Studios Knowledge and experience in Marketing and Business from Europe and Australia.